Happy Challenge Me Monday! It is Fantabulous Cricut Challenge Blog’s weekly challenge!And my first post as a brand new member of their design team. Today’s challenge is making a project using a pilgrim or Indian. There are some great projects and layout inspirations to check out. Click HERE to head on over and be inspired and link up your own fun Turkey Day project using at least one Cricut cut. Make sure you add a pilgrim or Indian to it! I am going through quite a bit in my life at this moment. In fact, I am setting this posting up while a patient in the hospital. Since my Thanksgiving this year will be mainly about healing from surgeries I wanted to create a layout of a previous Thanksgiving, celebrating the people I love. I chose to create this fun layout using an Older November Thankful Kit from Storytellersclub. And what fun to add this adorable pilgrim birdie from 3 birds on Parade. I think I may need to create an Indian too! Don't forget to enter this month's Challenge Contest, Give Thanks! I absolutely love this one page layout! And these colors are super fun for Fall. has given me an awesome award. This award is so appreciated. Janet, thank you so much for thinking of me!! who gave it to you and include a link back. (yeah, I know, kinda weird). Nominate 10-12 bloggers for the award and contact them at their blog site to inform them. 1. How many years have I been Scrapbooking? I have been a crafter my entire life (thanks Mom!) but didn't really get in to official scrapbooking until 1997. 2. What is my favorite topic to scrapbook? Of course I love to scrapbook my family and my pets. But I really love scrapping my friends and all the fun we have too. 3. How many people are in my family? Well, I have a husband of 15 years and I have 2 boys, ages 14 and 11. 4. 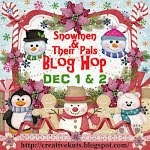 What is my favorite scrapbooking tool? You know this answer...it's my Cricut!! I could not live without that machine!!! 5. What is on my scrapbooking wish list? Hmm...for me I would have to say a few cricut cartridges and a new CM rolling cart! I really need a new bag! 6. What is my favorite scrapbooking line? Right now I am loving Echo Park. I just adore their paper's and embellies. 7. What do I do besides scrapbook? I love to read books, watch movies, and to cook. I don't work outside my house right now but I do have my ebay store and my scrapping booking businesses to keep me extremely busy. And I am a student as well! 9. What design teams am I on? I am on the Storytellers Club Design team and have been for 10 years. 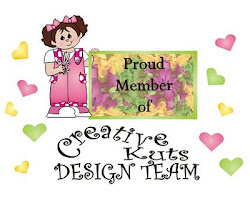 I am also on the Creative Kuts DT and now the Fantabulous Cricut Challenge Blog. So you see I am super busy!! 10. What is one thing that people are surprised to find out about me? I LOVE tattoos. I have 3 but want to get two of them redone much larger. LOL! My hubby hates that! I also can not wait til I am finished with all my surgeries and blood thinners so I can get my nose repierced. I really miss my tiny nose bling! Check out her layout...she did a great job! Her Spider is the coolest thing ever! Sukie please send me a message with your address please so Timeless Twine cane get your prize sent out to you!!! And thanks so much to everyone who played along!!! Hi scrappy friends, Connie with Connie Can Crop here to share my last Halloween Layout for this season. I can not believe it's November!! Where has this year gone? My latest creation for Creative Kuts is a single page layout using the spooky file BEWARE! These little ghosts are not scary at all but super cute! I created this layout before I realized this file is no longer available at Creative Kuts. My bad!! It was just recently retired. Did you know that files get retired? That means if you see something you love in the store you should buy it! I love the smile on this little guy!! Do you like the border? That scallop border was punched with the CM border maker system...cool huh? There are many many adorable Halloween files that should check out in the store. Cheryl has been busy creating new ones for people with all likes. This is the first time I used twine like this and you know I really like it!! What do you think? It's November!! Are you ready for cooler weather? How about a big Thanksgiving meal? Mmmm! This is an exciting month for me because not only am I a new member of the Fantabuous Cricut Challenge Blog Design Team but I am leaving today for a fabulous 4 day scrap weekend with my girlfriends in gorgeous San Diego! Oh and Wednesday is the big day, I will finally get my much needed second surgery on my leg (I hope!). Because of the Holidays approaching and everyone being so darn busy, let's keep this challenge easy. to create a project using at least one Fall Leaf and the word "THANK"
in your title. It doesn't have to be Thanksgiving, it can be thank you, thankful, give thanks...you get the idea! This must be a new project and in your post you must mention my name and link back to here! You need to link your project up below using Mr. Linky and include a link to your post where you are displaying it. You have until midnight November 30th to link it up. I will be back on Monday to announce the winner for October. So stay tuned and have a great day!! I can not wait to start using my Cricut Cartirdges again and exploring all the fun possiblities!! If you've never been to FCCB be sure to check them out. Every day of the week is something new and exciting. And weekly challenges...you won't want to miss! !